Measures approximately: 8 1/4" x 3 1/4" x 2 1/2" (210 x 82 x 63 mm). 12 finger shaped forms are hold ring sizes 3 through 11. Black velvet color ring display. 6 finger forms per row (2 Tier). 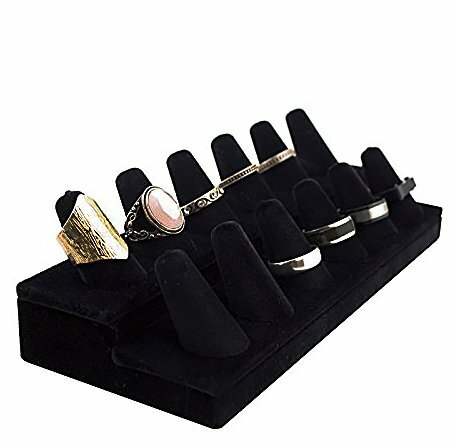 Perfect way to display rings on your counter tops or in a showcase.